Blue Ivy, the spawn of two musical geniuses, is, unsurprisingly, on her way to becoming a musical genius. The five year old gave us a taste of her personal style on a bonus track from 4:44, her dad’s latest album, which as of today is available outside Tidal. Though a majority of her rap is incomprehensible, it’s still somehow amazingly good. 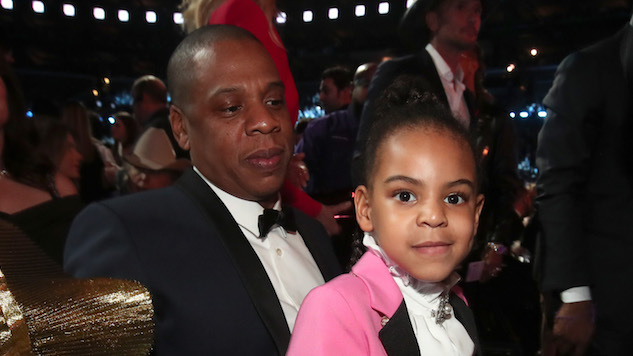 Blue raps, “Never seen a ceiling in my whole life,” which is both an observation on how high the ceilings must be in the Carter family home and a comment on the proverbial glass ceiling that hangs over the heads of women in any profession. We guarantee you were never that insightful at five. “Boom shakalaka, boom shakalaka” is repeated a lot towards the end, and it kind of goes off. Listen to the track below and read our review of 4:44 here.